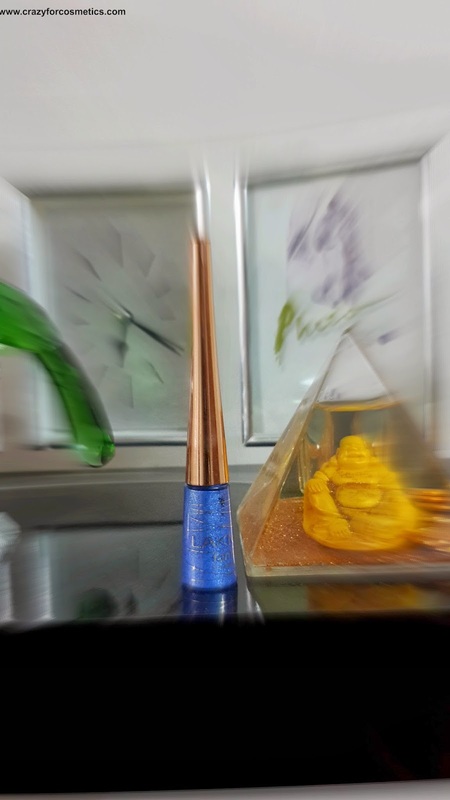 It is a liquid eyeliner which is packed in the usual liquid liner container but with a golden brush handle & a transparent plastic bottom which takes the color of the liquid inside. So it looks pretty with a shimmery blue bottom and golden handle. 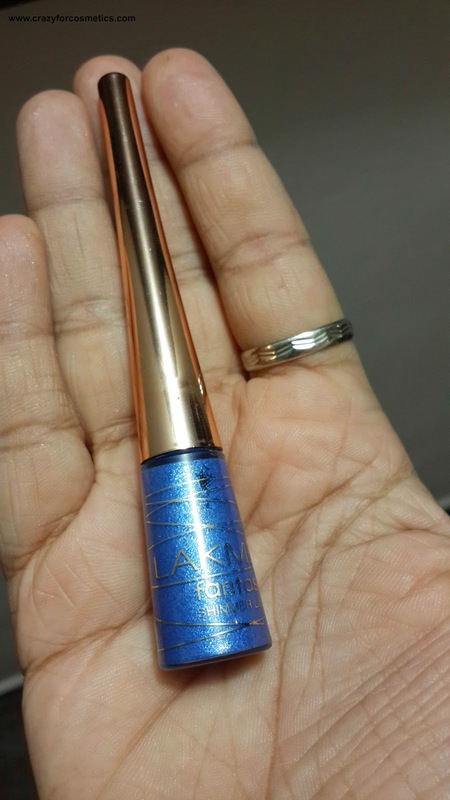 Lakme Fantasy Shimmer Liner is printed on the lower container in golden color along with some golden lines running across the lower container. 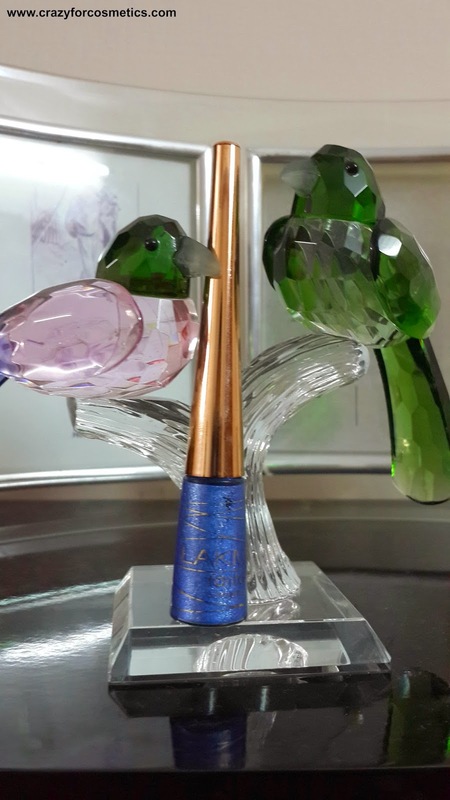 On the whole the packaging looks pretty, sleek and light-weight.The brush is ideal for lining the upper lash line with thin bristles whose orientation can be changed for a thinner/thicker liner application. The texture of the liquid is quite thick and not too runny and I am surprised that it has not dried up in the last 2 years.The swatch took about 50 seconds to dry up which is quite good. It smells of the old Reynolds pen ink but it very mild and will not bother you in anyway. 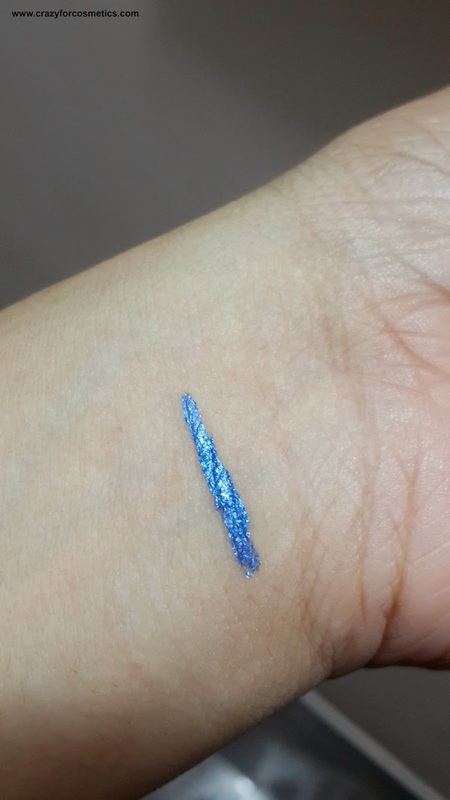 The shade is an Azure blue with lot of silver shimmer in it, is too bright and might not be suitable for ordinary days but can be used for a glam night outs and summer vacations. Since the staying power of the liner is quite less, it is better to layer it on top of a pencil black liner for long staying time. 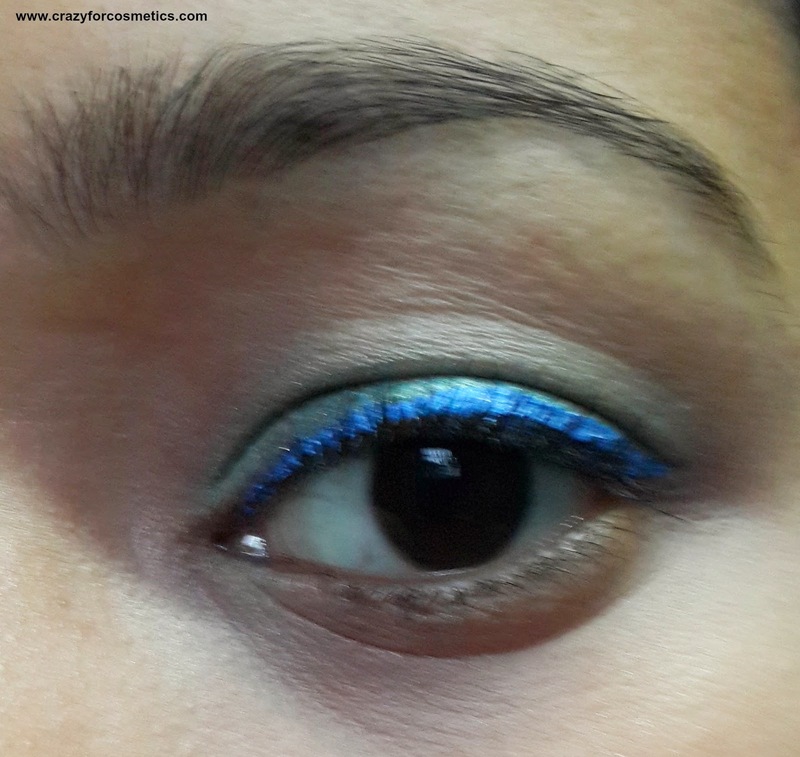 The color looks more elegant when worn on top of a black pencil liner and does not create any kind of irritation to the eye. 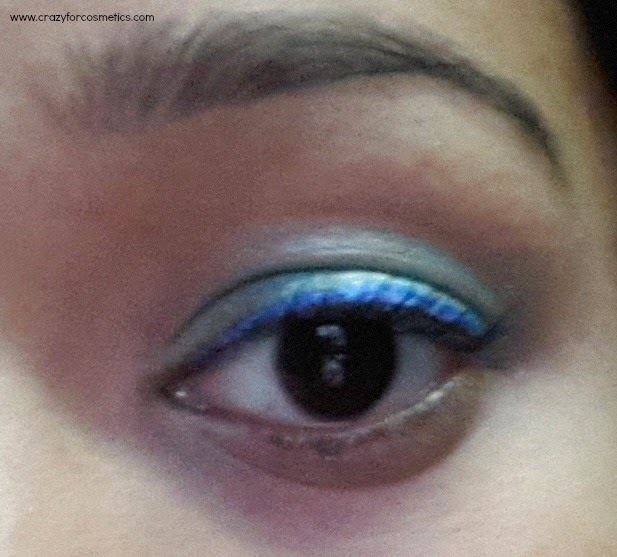 Used a Mint matte eyeshadow & used Lakme Glimmer Blue liner..Finished it off with a mascara. 3 : Other shade variations available. 1 : Staying power is less when you sweat, or rub your eyes. Nothing else that I can think of..
Pearl Flavored Waxing , Hit or Miss ? Nominated for yet another Liebster Award..